26 users visit the site each day, each viewing 1 page. It has 2 DNS records, ns1.a1ecco.com, and ns2.a1ecco.com. Theplanet.com Internet Services Inc (Texas, Houston) is the location of the Apache/2 server. 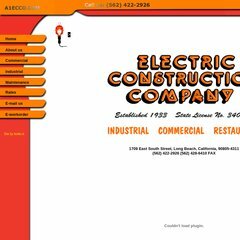 A1ecco.com's server IP number is 74.53.11.69. PING (74.53.11.69) 56(84) bytes of data. A time of 34.7 ms, is recorded in a ping test.